Fallout Shelter is a free to play mobile base-building game from Bethesda, revealed during their E3 conference. Fallout Shelter puts you in control of a state-of-the-art underground Vault from Vault-Tec. Build the perfect Vault, keep your Dwellers happy, and protect them from the dangers of the Wasteland. June 20th, 2015 | Tags: adverts, AppStore, Bethesda, Bethesda Softworks, breeding, caps, chat-up lines, Dwellers, E3 2015, Fallout, Fallout Shelter, free to play, in-app purchases, iPad, Lunchbox, lunchboxes, mobile, morale, paywall timer, pregnant, Radroach, Raiders, Vault, Vault 500: Stud Farm, Vault-Tec. 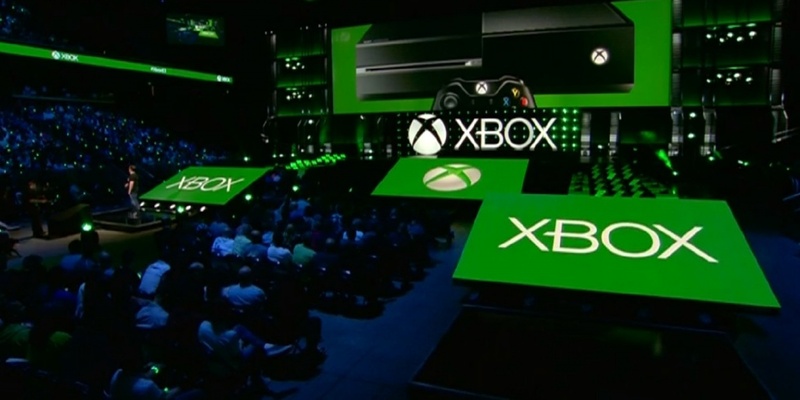 Nintendo’s E3 2015 Digital Event, a pre-recorded announcement, was streamed on 16 June with an accompanying press release. June 18th, 2015 | Tags: 3DS, Amiibo, Animal Crossing, Animal Crossing: Amiibo Festival, Animal Crossing: Happy Home Designer, Bowser, Club Nintendo, Donkey Kong, E3, E3 2015, Fire Emblem Fates, Genei Ibun Roku X FE, Hyrule Warriors: Legends, Mario & Luigi: Paper Jam Bros, Mario Tennis: Ultra Smash, Metroid Prime, Metroid Prime: Federation Force, negative reception, Skylands: SuperChargers, Star Fox Zero, Super Mario Maker, The Legend of Zelda: Triforce Heroes, Wii U, Xenoblade Chronicles X, Yarn Yoshi, Yo-kai Watch, Yoshi's Wooly World. 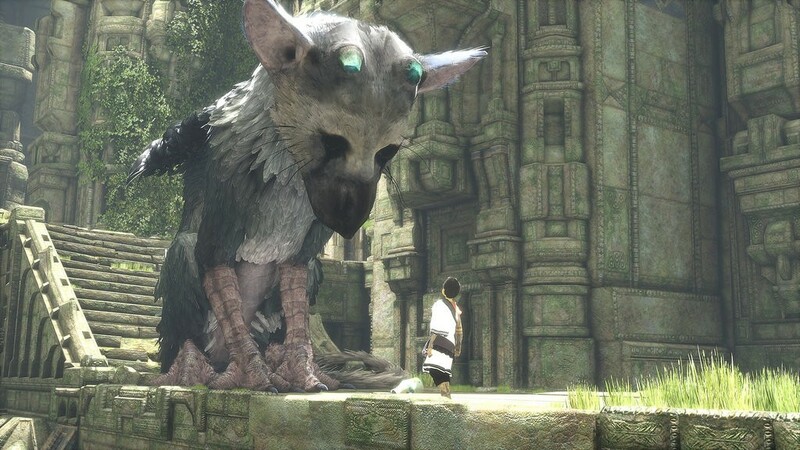 During their E3 2015 conference, Sony opened with the first ever gameplay footage of The Last Guardian..
June 17th, 2015 | Tags: 3.0 Toy Box, Activision, Assassin, Assassin's Creed Syndicate, Batman, Batman: Arkham Knight, Black Ops III, Bungie, Call of Duty, Call of Duty: Black Ops III, Campo Santo, conference, crowdfunding, Destiny, Destiny: The Taken King, Disney, Disney Infinity, Disney Infinity 3.0, Disney Interactive Studios, Dreams, E3, E3 2015, Evie Frye, Final Fantasy VII, Firewatch, Fumito Ueda, gameplay, Gotham, Hello Games, indie, Kickstarter, LucasArts, Marvel, Media Molecule, Media Player, mystery, Pixar, PlayStation 4, PlayStation Store, Project Morpheus, remake, remastered, sandbox, Shenmue III, Sony, Star Wars, Star Wars: Battlefront, story, Tatooine, The Last Guardian, The Scarecrow, The Taken King, Trico, Uncharted: The Nathan Drake Collection, user generated content, virtual reality, VR, wilderness. Bethesda hosted its first E3 press conference in the early hours this morning, revealing Dishonored: Definitive Edition, Dishonored 2 and The Elder Scrolls: Legends, and showing more for Fallout 4, Doom 4 and BattleCry. June 15th, 2015 | Tags: base building, BattleCry, Bethesda, Bethesda Softworks, card game, conference, Dishonored, Dishonored 2, Dishonored: Definitive Edition, Dogmeat, Doom, Doom 4, E3 2015, Elder Scrolls, Fallout 4, Fallout Shelter, free to play, in-app purchases, jetpack, mobile game, mods, Pip-Boy, Power Armor, SnapMap, strategy, The Elder Scrolls: Legends, Vault, Vault 111. Redacted Studios, in partnership with indie publisher Versus Evil, has released the first ever official game trailer for Afro Samurai 2 in time for E3. June 12th, 2015 | Tags: Afro, Afro Samurai 2: Revenge of Kuma, E3 2015, Kuma, Redacted Studios, revenge, Versus Evil.